The 508th PIR left England at 2 different airfields on 5 June 1944. They were part of Parachute Force A, codename Mission Boston to drop on Drop Zone N just north of the town of Picauville. The 508th would be transported by 4 serials. Serial #20-#23. A total of 117 aircraft and 2,056 troopers. The 1st Battalion left from Folkinham Airfield being flown by the 313th Tactical Carrier Group apart of Serial #22 a total of 36 aircraft. 2nd Battalion left from Saltby Airfield being flown by the 314th Tactical Carrier Group apart of serial #20 in a total of 36 aircraft. 3rd Battalion left from Folkinham Airfield being flown by the 313th Tactical Carrier Group apart of serial #23 a total of 36 aircraft. Regimental HQ also left from Saltby Airfield apart of serial #21 with a total of 9 aircraft. On a side note Frank Pesce flew in Lt. Napierkowski’s stick. Which was plane #2, serial number 43-15191, flown by Capt Cardwell in serial #22. He jumped #5 in the stick. Their plane was the second plane leading all of serial #22. B. Seize, organize and defend the area along Renouf. C. Clear and secure the Division area. D. Assemble 1 Battalion without delay in area indicated as Force Reserve (that Battalion was supposed to be 1st Battalion). E. Patrol aggressively to a line indicated. F. Be prepared on Division order to advance west to the line of the Douve River. The 508th was dropped onto French soil between the hours of 0208-0220 on 6 June 1944. The vast majority of the 508th were misdropped all over the peninsula. The majority landed east of the DZ astride the Merderet River. Others were dropped 9 Kilometers south of Cherbourg! The planes flew threw heavy clouds as well as receiving heavy concentration of AA and MG fire. 3 planes were known to have been shot down by enemy fire. 1 of the planes with all hands. They were Plane #7 of stick #20, serial #42-93002, flown by Capt Cartwright, carrying members of HQ2, Plane #16 of stick #22, serial #42-92868, flown by Capt Roycroft, carrying members of Company A, and Plane #41 of serial #23, serial #41-38698, flown by Capt Butler, carrying members of HQ3. Several casualties were sustained when troopers were hit in the planes, several more were sustained while troopers were in the air. I have also found 3 confirmed reports of 508 troopers who returned to England failing to jump. Not surprisingly their names are known only to God and the other troopers who were with them. It is important that we remember that we do not judge such men. Especially since we were not there and do know how we would react under such circumstances. 6 June: Heavy small arms fire along all the DZ’s made organization impossible. Very little equipment was able to be recovered due to resistance by the Germans. It was quite common for the Germans to set ambushes on equipment bundles as well as to booby-trap them. Also very many of the equipment bundles landed in the swollen Merederet and Douve Rivers. Note: I forgot to mention in my last email…..a total of 36 82nd troopers drown in the swollen rivers. Company G was the only Company that dropped intact and assembled with all equipment in the vicinity of Ste. Mere Eglise. The regiment was able to assemble in 4 distinct groups…..Group L, commanded by Col. Lindquist, Group W commanded by Maj. Warren (Frank’s group),Group S commanded by Lt. Col. Shanley, and Group G consisting of a combined force of troopers commanded by Cap. Novak and Cap. Simonds. It is important to note that in every group there was a sprinkling of troopers from the 505th, 507th and 101st ABD, with the majority from the 508th. Group L assembled in the vacinity of La Fiere, fighting its way south along the railroad to the highway across the railroad, 2 1/2 kilometers from Ste. Mere Eglise. They then turned southwest intent on crossing Merderet River, moving to the area north and northwest of Etienville with the purpose of of contacting other elements of the 508th and to carry out its mission. The group attacked and German strong point guarding the bridgehead across the Merederet River 4 kilometers west of Ste. Mere Eglise. In the afternoon Group L, with an attached unit from the 505th PIR, wiped out the ramaining German resistance. That evening Group L was relieved by 1st Battalion of the 505th. Group W (Frank’s group), about 200 troopers at this time, organized south of DZ N and fought its way north to about 500 yards east of Picauville. Group W then seized the high ground south of Gueuteville, the site intended for Force A reserve. During the afternoon Group W successfully fought off an attack by a large reinforced (Battalion size) group of Germans supported by tanks and self-propelled guns. At around 1900 hours group W was successful in contacting Group S and broke off contact and joined Group S about 1000 yards east of Picauville. Group S originally consisted of a platoon of, which fought off a a Battalion of German infantry reinforced with 4 tanks and a battery of light artillery the whole morning of D-Day. Around noon Group S broke contact and moved east , picking up 150 more troopers, where they set up defensive positions until Group W joined with them. After combining themselves both groups consisted of approximately 400 men, with only 3 LMG’s, 1 BAR and 1 60 MM mortar. During the night Group S (approximately 200 troopers at this time) moved in 2 columns to occupy Hill 30. Group G secured the east end of the causeway across the Merederet River at Chef Du Pont and defended the bridghead against an attack of a Company of Germans who had been defending the town and bridge, utterly destroying them! 7 June: In the morning Group L attacked north to Neuville-Au-Plain. After this the group was then marched to Chef Du Font on Division order linking up with Group G and began mopping up German stron points around the town. At around 2330 hours a patrol under Lt. Ling contacted Group S on Hill 30. Group S was successful in organizing a defense of Hill 30 by 1300. Patrols around the hill wiped out several German mortar and artillery pieces nearby. They were also successful in retrieving several equipment bundles around the hill as well as destroying many telephone lines. Unfortunately none of the 10 equipment bundles carried any needed supplies…ie.ammo, food and medical supplies. 2 platoons reinforced from Group S established a road block on the west end of the causeway during the evening. The area around Hill 30 was secured by 2000 hours. 8 June: Patrols were dispatched from Regimental HQ located in Chef Du Font with the intent of making contact with members of the 101 ABD at Le Fort and Carquebut. These patrols ran into very strong German at both towns, forcing Cap. Taylor to bring to bear 2 extra Companies. Both companies moved into Carquebut with the Germans occupying the houses in the town. The Germans wisely surrendered just as the assault teams were set to enter and clear the buildings. The 2 Company force (which was actually 2 platoons) Killed 15 Germans and took 115 prisoners! Cap. Taylor then split his force and sent half to mop up the Germans in Le Port and group up with Group L.
Group S on Hill 30, engaged German infantry on 3 sides. Simultaneously the Germans attacked the road block on the west end of the Chef Du Font causeway all day by a Battalion reinforced with tanks, artillery and mortars! The Germans were finally driven off by a night attack by Lt. Millsaps and Lt. Pollette. During the bloody attack 30 Germans were killed during hand to hand combat. No prisoners were taken, no quarter was given and none was expected. About this time Division Artillery was set up and contacted via SCR 300 radios and fire was adjusted onto German positions. Lt. Albright destroyed a battery of howitzers that was bunched up on the road waiting to occupy positions to fire on Hill 30. 9 June: During the morning there was no significant activity other then small patrols of troopers wiping out small enemy groups from Group L and Group S around Hill 30. Division ordered both these groups to defend in place to the last man if necassary. At 1200 hours Lt. Col. Mendez entered the Hill 30 perimeter with 10 men. Lt. Col. Mendez had been wandering since D-Day looking for friendly forces and fighting Germans. At 1130 hours Col. Lindquist was ordered to move 1 Battalion immediately to the road junction 3 kilometers west of Ste. Mere Eglise to assist in establishing a bridgehead across the river at La Fiere. In the afternoon Group L moved out, crossed the Merederet River by the causeway south of La Fiere, mopping up the area of German resistance between Guetteville and the Merederet River. A group of troopers, mainly cooks, supply and motor pool personnel took over for Group L. A Regimental rear CP was established at Chef Du Font and a forward CP was established at Hill 30. At 1900 hours Regiment received the detailed plans of the 358th Infantry Regiment, 90th Infantry Division to pass through the lines west of CHef Du Font at 0400 hours on D+4 with the mission of seizing Etienville. On an interesting note. During the Rockford event I had the privilege of meeting a medic who served with the 358th, 90th ID. I wonder if…small world! 10 June: The 358th IR arrived at Chef Du Font at 0005 hours and moved into a forward assembly area in preparation for the 0400 attack. The 358th moved across the causeway at 0510 hours receiving no resistance. At 1700 the remainder of the Regimental CP arrived on Hill 30. By 1800, for the first time since the drop the 508th was finally assembling as a Regiment in one area. This reorganization took place on Hill 30 with many of the troopers following the sounds of the “fighting”. Company H was protecting the south flank of the Division at Le Fort and a 18 man detachment was ordered to defend the bridge at Chef Du Font. 11 June: The day was spent reorganizing units, reallocating weapons (transferring them from the dead and wounded to the living) and issuing ammunition. Company I was sent to relieve Company H at Le Fort at 1615 hours. By 2130 hours orders were received for operations for 12-13 June. At 2140 hours the detachment at the Chef Du Font and I Company at La Fort were relieved and sent to 508th Regimental area, Hill 30. An S-2 patrol was sent to cross the Douve River and scout in the vicinity of Beuzeville La Bastille, Teilerfer, Beuzeville and Cretteville. The patrol crossed the Douve guided by a French civilian. 12 June: The S-2 river crossing was unsuccessful do to a leaky boat. The day was spent in preparation for the move south of the Douve across the causeway at Beuzeville La Bastille. The Regiment’s mission was to force a crossing of the Douve River between Montesey and Lieseville under the cover of darkness on the night of 12-13 June, to seize and hold the town of Baupte and the bridge south of Baupte and to close a corridor at Font Auny between Pretot and Les Sblons. 13 June: Company F commanded by Lt.. Goodale, crossed the Douve River at 0001 hours via assault boats west of the causeway at Beuzeville La Bastille. After reaching the south side of the Douve River Lt. Goodale called for artillery to disrupt enemy resistance in the town and covering the causeway. Artillery fire lasted until 0100 hours at which time Company F wiped out the German defensive position in the town after destroying 2 tanks in the dark. The Regiment then proceeded to cross the causeway in a column of Battalions with 1st Battalion, 3rd Battalion, Regimental HQ and 2nd Battalion in order. All Battalions were to seperate at Buezeville and each Battalion was to split up an follow a prescribed route. The 1st Battalion was ordered to pass through the town of Cretteville and move into Regimental reserve in Coigny. The moved across the Douve River at 0400 hours. The leading combat patrol of 1st Battalion lead by Lt. Weaver encountered 2 German tanks in Cretteville and promptly destroyed them with bazookas and gammon grenades. At 0745 hours the Battalion moved through Cretteville. At 0900 hours 1st Battalion moved towards Coigny. At 1100 hours 1st Battalion encountered 5 captured Renault tanks destroying all 5 around the town of Feacqeutot. At 1615 hours 1st Battalion arrived at Coigny and established a defensive perimeter as Regimental reserve. At 1900 hours Companies A and B, with one 57 MM anti tank gun attached to each company, moved out to clear the area of Coigny-Hauteville-Prieure. Company A ambushed and destroyed 5 light tanks and routed a tank CP. At 2300 hours the two companies arrived back at Coigny. The 3rd Battalion crossed the Douve River at 0430 hours followed by the Regimental HQ and occupied defensive positions at the town of Taillerfer in the corridor between Font Auny and Hotot. Regimental CP was established at Teillerfer at 0700 hours. The 2nd Battalion crossed the Douve River at 0500 hours and moved to the east side of the Regimental CP to secure Baupte and contact the screamin chickens of the 101st ABD at La Feures. At 0750 hours the lead element ambushed and destroyed 2 German tanks. The Battalion then received heavy small arms fire about 2,500 yards northeast of Baupte. Patrols were consequently sent to establish how many Germans were defending the town. It was determined that the Battalion was facing about a Battalion of German Infantry, with tanks and artillery.. At 1615 hours the Battalion attacked after artillery preparation. Company F was on the left, Company D on the right and Company E in Battalion reserve. After about an hour of heavy fighting, in which 4 20 MM guns were knocked out and dead and dying Germans were mercilously left to die in the ditches, Company F was successful in capturing the south half of Baupte, clearing the end of the causeway and occupy defensive positions on the south end of town. Meanwhile Company D fought through the north end of town encountering murderous small arms fire from the defending Germans, overrunning a company of Germans in the headgerows, and encountering several German tanks and a very stron pocket of German resistance in a vehicle park northeast of town. Company E was brought through Company F’s sector seizing the north end of town. Companies E & F then attacked the vehicle park, which was defended by a company of infantry and 10 tanks (which were all knocked out by bazooka fire). The Germans routed, retreated, leaving 50 vehicles which were captured by the weary troopers. Company D reorganized and established a defensive perimeter east of town. The bridge across the causeway was booby-trapped and prepared for demolition at dawn. The attached engineer platoon then destroyed a railway bridge west of Baupte. Contact with the 101st was made on the causeway south of Baupte. Hell’s Half Acre 6-11 June 1944. SSGT Raymond Hummel commanded 36 paratroopers from HQ1 and various other units to the north bank of the Douve River at Beuzeville La Bastille. They were immediately met with machine gun fire from guns covering the approaches to the bridge. They were able to destroy one of the machine gun nests. Then 4 German tanks arrived on scene wherein SSGT Hummel attacked 2 tanks destroying one with a Gammon grenade, killing the crew. Later in the day the group was pinned down by heavy fire from a German infantry company. An ideal defesive position was selected and the group was ordered to dig in. Fields of fire were selected and approaches to the Bridge over the Douve River as well as the causeway leading to the Merederet River were covered. Because of the troopers effective fire the Germans were forced divert daylight traffic away from these areas. The whole time the men were unable to extricate themselves from the situation as the Germans were able to place so much fire on them. The Germans attempted many attacks on the little group trying to rout them. It was not to be. The troopers fought off every attack with only rifle and grenades. At the same time the troopers were able to place effective fire on the road way engaging all vehicle traffic attempting to cross the bridge during the day. The Germans were forced to move only at night. This little band was able to deny the use of the bridge as well as inflicting heavy casualties on the enemy. In fact in his book noted historian SLA Marshall’s “Night Drop” these men were refferred to as a pack of strays. 14 June: 1st Battalion travelled from Coigny and joined 2nd Battalion around 0130 hours at Baupte to assist with the defense of the town. A perimeter defense was established around 0700 hours. At 0700 hours 3rd Battalion was attacked by a small force with small arms fire. By 0735 hours 3rd Battalion was successful in repelling the attack causing many casualties among the German attackers, estimated at a company. At 1005 hours the 3rd Battalion notified Regiment that a large force of Germans was concentrating in the area 1 kilometer northeast of Les Sablones. At which time a 15 minute artillery barrage was called for at 1030 hours. At 1030 hours 1st Battalion moved from Baupte to clear the area in front of the 3rd Battalion positions. 1st Battalion attacked at 1130 hours. At 1230 hours the Battalion ran into very heavy German resistance, later to be confirmed at Battalions strength. A substantial firefight ensued. The Germans reinforced their positions causing the attack to stall. At 1600 hours the 1st Battalion was forced to withdraw to Baupte. A Company was used as a covering force and rejoined the Battalion 15 minutes later. The Regimental HQ was moved to Fracquetot at 1830 hours. The 1st Battalion was moved from Baupte to Regimental HQ and placed into reserve. At 2300 hours 2nd Battallion, less D Company, was moved into reserve around Coigny. D Company occupied positions north of Baupte. 15 June: at 0515 hours 50 German cyclists attempted to cross the bridge at Hotot, and were repulsed by D Company. 9 were KIA and 2 were captured. At 1100 hours Regiment received instructions to prepare to move north of the Douve River. 2nd Battalion relieved 3rd Battalion at 1500 hours. The 3rd Battalion then assembled and moved north of the Douve River to Division reserve at 1700 hours. The Battalion was transported to a position 1/2 mile west of Le Bonneville. The 507th PIR began relief of the remaining 2 Battalions. 16 June: The Regiment, less 3rd Battalion, moved via truck to the division reserve position northeast of Etienville. The Regimental CP was established in a orchard 1/2 kilometer northwest of Etienville. Instructions were received from Division to alert units for a move to a new reserve position near Rauville by 1500 hours. 3rd Battalion then moved to a position east of the Douve River and approximately 2 miles north of St. Sauveur to protect the right flank of the Division and Corps in a defensive position astride the Valognes-St. Sauveur highway and covering the passing of the 9th Division passing west. 1st abd 2nd Battalions plus Regimental HQ moved to the new assembly area 2 kilometers northwest of St. Sauveur Le Vicomte along the St. Sauveur-Etienville highway. At 1915 hours the Regiment, less 3rd Battalion, was alerted to relieve the 505th PIR which was holding positions around St. Sauveur Le Vicomte. At 2200 hours the 2nd Battalion passed through the 505th PIR and moved to take up defensive positions, while mopping up German resistance. The Regimental CP was established in a French bakery by 2030 hours. By 2230 hours the 1st Battalion relieved the 3rd Battalion of the 505th PIR and occupied positions 1 kilometer southeast of St. Sauvuer Le Vicomte. 17-19 June: 1st and 2nd Battalions mopped up the area from St. Sauveur Le Pierre Font to Bretel and Jonas along the edge of Prairie Maracagueses. This was accomplished by combat patrols which located and attacked the Germans. At 1000 hours message was received to mine the bridge across the Prairie Maracagueses on the St. Sauveurs-La Haye De Puit highway, prepare the bridge for demolition and guard the bridge against counter attack. The mission was accomplished by C Company which established a combat outpost and road block. The bridge was blown on Division order, and at 2300 hours A Company was sent to reinforce C Company. Throughout the period of 17-19 June the 2 Battalions carried out aggressive patrolling along the banks of the Douve River. On 18 June the 3rd Battalion moved to a position west of Etienville, under Division control. The 1st and 2nd Battalions established an outpost along the Douve River, per Division order, to ensure against German crossing of the Douve River. All outposts were established at 0300 hours. At 0800 hours the Regiment received orders that combat patrolling would cease at 0830 hours, but the Regiment was to keep the Prairie and Prairie-Douves junction under constant surveillance by use of OP’s. At 1440 the Regiment was relieved by the 357th Infantry. The 3rd Battalion, under Division control, crossed the Douve River west of Etienville in assault boats at 0500 hours. The Battalion established a bridgehead on the south bank of the Douve River. At which time the Battalion was attached to the 325th Infantry Regiment and given the order to seize and hold Pretot. The Battalion met a strongpoint of Germans 900 yards south of Vinde Fontaine and bypassed it to the east. The Battalion then moved into an attack assembly area 600 yards north of Pretot, under persistant sniper and machine gun fire. During the night a Mark IV tank was knocked out by a by a soldier from I Company who threw a rifle grenade. 20 June: At 0430 hours 3rd Battalion moved into position in preparation for an attack on the town of Pretot. At 0600 hours 3rd Battalion attacked the town of Pretot. After a 15 minute preparation of artillery the Battalion attacked under the cover of the supporting fire. The Germans defending the town retreated south in disorder. The Battalion then made a defensive perimeter around the town. The retreating Germans took high ground to the south and east of Pretot subjecting the 3rd Battalion to artillery and mortar shelling. At 1600 hours the Battalion was ordered out of town to high ground west of town and was releived by the 1st Battalion of the 507th PIR. By the morning of 20 June the 90th Division had passed through 508 lines. The Regiment, less 3rd Battalion, was ordered to move by truck from St. Sauvuer to Etienville. From Etienville the Regiment was to cross the causeway, by foot, south of Etienville to an assembly area at La Quenauderie. The Regimental CP was operational at 1230 hours, 2 1/2 kilometers southwest of Etienville. At 1700 hours a plan was devised for and attack to seize Hill 131. 21 June: After being relieved by the 507th PIR the 3rd Battalion was released from Divisional control and moved to the Regimental area. At 1000 hours a verbal field order was issued for an attack to commence on Hill 131. Later in the evening the attack was postponed for an additional 24 hours. 22 June: During the morning hours 1st Battalion was ordered to move from the Regimental area. At 1700 hours the 1st Battalion occupied and prepared defensive positions on the Regimental reserve line. During the night patrols operated into the zone of advance towards Hill 131. 23 June: At 1015 hours the Battalions were ordered to make a reconnaissance for defensive positions to the south. The 3rd Battalion to occupy the MLR, 2nd Battalion to occupy the Regimental reserve line and the 1st Battalion to occupy on the Division switch line. At 1630 hours the Regiment was ordered to move to their positions. 24 June: At 0630 hours the 1st Battalion was relieved by the 507th PIR at Vindefontaine and moved to the vicinity of Le Bost. Regimental CP was reestablished 1 1/2 kilometers northwest of Vindefontaine by 1600 hours. 25-29 June: During this timeframe the Regiment occupied positions along the MLR. Aggressive patrolling was conducted in front of the Regimental positions and probable zones of advance. Regimental s-2 patrols went as far as Hill 131 on 4 different occassions procurring information on enemy strength and postition as well as capturing several prisoners. During this time the 3rd Battalion was on the MLR and in physical contact with the 505th PIR on its right flank and the 325th GIR on its left flank. The whole time the enemy was within 50 yards of the MLR. The enemy used mortar fire as well as high velocity, low trajectory projectiles (88’s) extensively on 508th positions. The Regiment responded by utilizing the 319 GFAB and placed a heavy volume of fire onto the enemy positions. Company H of 3rd Battalion suffered numerous casualties as a result of enemy bombardment. Company H was replaced by the reserve company, Company G.
On 26 June the Division made a feint attack against the enemy using heavy concentrations of artillery, mortar and small arms fire. 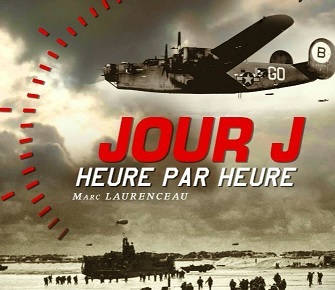 At 1030 hours of 29 June message was received that one Battalion of the 507th PIR would relieve the 3rd Battalion from the MLR starting at 2300 hours and that one Battalion of the 508th would relieve by infiltration the 1st Battalion of the 505th PIR at 1530 hours. This was accomplished by infiltrating the 1st Battalion one squad at a time. 30 June: The 3rd Battalion was relieved by the 2nd Battalion, 507th PIR on the MLR around 0140 hours. At 0830 hours the Division ordered the 1st Battalion attached to the 505th PIR and the 2nd Battalion 507th PIR attached to the 508th PIR. The afternoon of 30 June was spent allowing the mortar units to zero in on concentrations and planning. 4-5 July: An attack order was issued at 0030. Battalions were to move out from assembly areas against their assigned objectives at 0630. The Battalions were to attack simultaneously, 2nd Battalion attacking to the southwest against Hill 95, the 3rd Battalion attacking southwest across open ground against the center of the ridge, the 1st Battalion attacking south against the ridge at La Poterie. At 0720 an order arrived from Division for the Regiment to jump off in attack at 0800. All units were given final instructions and the attack began. By 0945 the the 2nd Battalion had advanced 700 yards through stiff resistance and by 1050 was 300 yards from its objective. The 1st Battalion had planned to attack its objective from the left flank, avoiding crossing the draw in front of the ridge, however, upon reaching the LD it was found that the 325th, advancing on the left flank was shelling the area the Battalion planned to use. Units of the 325th advanced abreast of the 1st Battalion left flank and indicated that they planned to advance into the area selected by the 1st Battalion. This necessitated the delaying of the attack on a narrower front. By 1050 the 1st and 3rd Battalions were pinned down by fire from their objective. At 1100 message was received that the 3rd Battalion was held up 350 yards in front of its objective. A 20 minute Corps artillery concentration was ordered for 1215. A coordinated attack was also set for 1215. At 1220 2nd Battalion reported that Hill 95 had been taken with heavy loss of personnel. 400 yards into its advance 1st Battalion came under heavy automatic weapons fire from well prepared positions. At this time the Battalion was forced to dig in and enemy artillery was extremely heavy and accurate. Battalion casualties were very high. 3rd Battalion attacking under the artillery concentration suffered heavy casualties when friendly artillery fire lifted permitting the enemy to pin the 3rd Battalion to the ground with mortar fire. The Battalion was forced to withdraw to the vicinity of its original attack. At 1400 Company F occupied the west slope of Hill 95, Company D occupied the east slope, and Company E remained in reserve north of the hill. Company F suffered heavy casualties and was forced to withdraw. Company E retook this lost ground during the night. The 2nd Battalion, 507th PIR, upon orders from Division, moved into position east of La Blanchelande, covering the gap between the 2nd and 3rd Battalions. By 1500 this Battalion had moved on to position and was establishing and OP. A new plan was given by Division. 2nd Battalion, 507th PIR, sent a strong combat patrol to the center of the ridge. The remainder of the Battalion moved into position on the hill. This Battalion was on position by 0440 5 July when it made contact with the 505th PIR by patrol and the entire ridge had been captured. At 0500 1st Battalion was moved to La Blanchelande and made Division reserve. 1-2 July: 2nd and 3rd Battalions remained in the Regimental sector. On the morning of 2 July the enemy moved in close to the 1st Battalions positions on the left flank in an attempt to capture a prisoner. At 1545 hours the 2nd and 3rd Battalions were alerted for a move to forward assembly areas in the area of Bois De Limors, in preparation for an attack on Hill 131. 2nd and 3rd Battalion mortar units moved into the woods and prepared fire data and zeroed in on targets prepatory to the attack. The Regimental CP moved into another location in the Bois De Limors. The Battalions closed into the new area at 2000 hours. A message was received from Division at 1945 hours stating that D-Day for the attack on Hill 131 was set for 3 July, H-Hour set for 0630 hours. 3 July: Following a 15 minute artillery preparation the 2nd and 3rd Battalions jumped off in attack abreast at 0630 hours, with the 2nd Battalion on the right and the 3rd Battalion on the left, through the 1st Battalion who was defending the line of departure. Initially theattack ran into very stiff resistance but the sheer violence of their attack broke through the German line. The 1st Battalion constituting the Regimental reserve, assembled and made ready to move after the 2nd and 3rd Battalions moved through their positions. The 1st Battalion mopped up several enemy positions that had been bypassed by the attacking Battalions and then moved to a new reserve position around La Cotellerie. By this time the attacking Battalions were were approaching the Alpha phase line after overrunning numerous German positions and destroying them. At 1100 hours the 2nd Battalion reached the base of Hill 131, after routing several more pockets of German resistance and taking scores of prisoners. By 1145 hours the 1st Battalion had moved its reserve position closer, the 2nd Battalion had captured its objective on the eastern slope of Hill 131 and the 3rd Battalion has advanced 300 yards west of La Dauderie. During the whole advance several casualties were suffered due to booby traps. By 1600 hours the Regiment had occupied positions on the southeast slope of Hill 131. At 1800 hours the Regiment received instructions to move to the vicinity of La Blanchelande in preparation for an attack on Hill 95. Under mortar fire the 2nd and 3rd Battalions moved into forward assembly areas in the woods east of La Blanchelande. The 2nd Battalion was positioned on the west side of the woods, the 3rd Battallion on the east side of the woods and the 1st Battalion, in Regimental reserve, on the north side of the woods. After fighting all day the Regiment was in their new positions at 2330 hours. At this time the Regiment was well below half strength as they had not received any replacements since 6 June. 5 July: All units remained in positions and conducted aggressive patrols action to the Regimental front. 6 July: At 1800 hour a pocket of resistance was encountered along the highway to the front of Hill 95 by the 2nd Battalion. At 2145 Company F moved forward supported by 3 tanks to attack the pocket of resistance. Company F met heavy enemy resisitance but cleared the area. 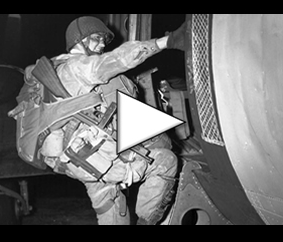 the 2nd Battalion was attached to the 505th PIR for tactical purposes. 7 July: At 1000 the Regiment received Operation Memo #4 from the 82nd A/B Division instructing the Regiment to assemble in the vicinity of La Blanchalande in Division reserve. All attachments were to be relieve in place. By 1145 all units were in position one kilometer east of La Blanchelande as Division reserve. 8 July: All units remained in position as Division reserve, the 3rd Battalion continuing to patrol the sector between 507th PIR..
9-11 July: The Regiment remained in Division reserve taking advantage of the oppurtunity to shower and clean up all personnel in preparation for the return to England. 12-15 July: The Regiment departed from Normandy across Utah beach, utilizing 2 LST’s for transportation to Southampton, England and thence to Nottingham by train thus ending their combat in the Normandy campaign.